I am literally having so much fun with my “free time” since the kids are both in school for 2 hours every couple of days. And, let’s just say, they’re really enjoying being in school–and the neat new treats that they’re getting when mom has some free time to herself. LOL! 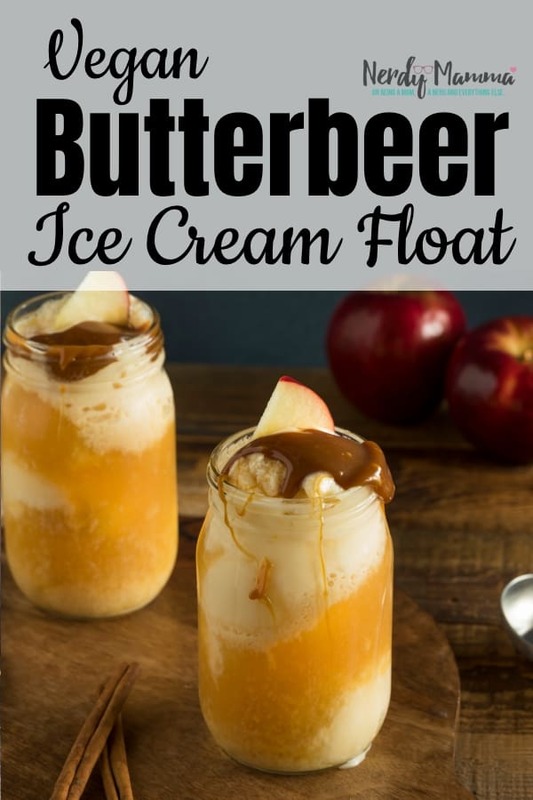 My favorite part of this Vegan Butterbeer Float is that you can make it while you’re watching Fantastic Beasts or even reading Deathly Hollows. It’s seriously a no-brainer once you get everything going. I can’t wait to make them again next week when the kids are gone again. LOL! 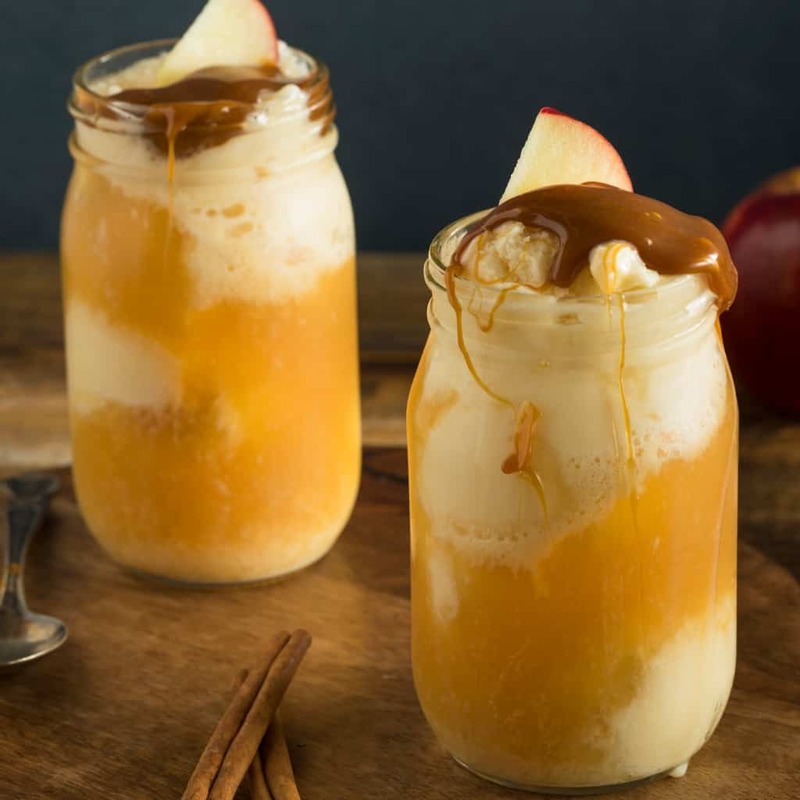 If you’re digging this Vegan Butterbeer Float, be sure to pin it so that you can find it the second time you want to make it–because you’re going to want to make it again, trust me. My life is a series of wonderful easy Harry Potter desserts lately. A revolving door of--oooh! 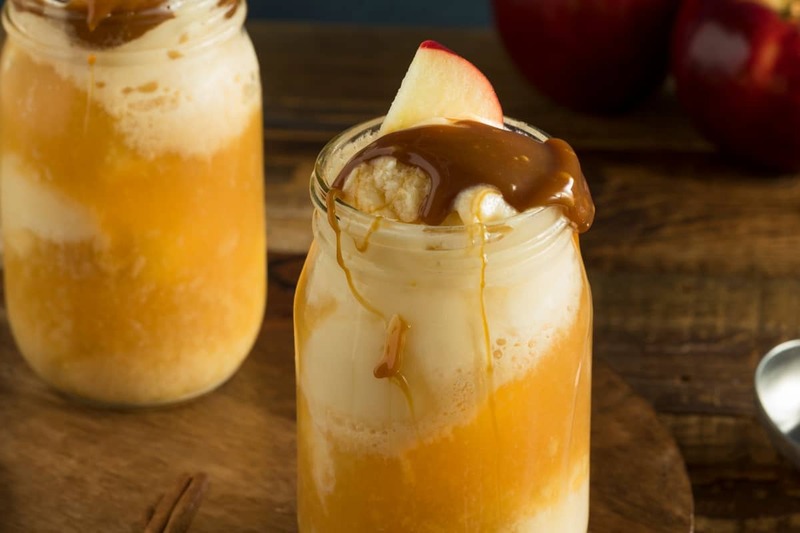 Hey look, it's a Vegan Butterbeer Float! Split into 3 equal parts. Place 1 of these parts in the refrigerator. Stir/swirl in 1 portion of the the butterbeer drizzle by hand. Mix the cream soda and 1 portion of the butterbeer drizzle together until the butterbeer drizzle is completely dissolved. 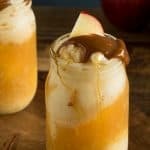 Place 1 scoop of the ice cream into the bottom of a mason jar or other serving cup, then pour a some of the cream soda mixture into the cup, followed by another scoop of ice cream and another portion of the cream soda mixture--repeat until serving glass is full. Pour remaining portion of butterbeer drizzle (it's in the fridge in case you forgot) on top and serve with a slice of apple and some cinnamon sticks for fun!